More than 40 Harvard alumni won seats in Congress Tuesday night as both the U.S. Senate and House of Representatives remained under Republican control and Donald Trump, the Republican nominee, was elected the next President of the United States. In the House of Representatives, more than 35 members in the next session will boast degrees from the University. Close to five alumni of Harvard’s various schools lost their races for seats in the House. Of the eight Harvard alumni who vied for seats in the Senate, five won seats in Congress’s upper chamber. While some polls had predicted Democrats could win control of the Senate in 2016, they lost several key races and the chamber will remain under Republican control. The vast majority of Harvard graduates ran and were elected as Democrats. University President Drew G. Faust often meets with Harvard alumni who are elected officials when she travels to Washington, D.C., to lobby for public funding for universities, among other public policy issues that intersect with the University’s interests. Harvard alumni have historically been well represented in the governing bodies. 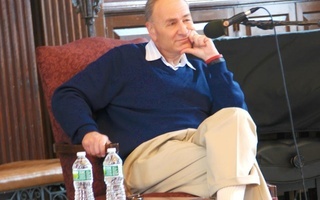 New York Senator Charles “Chuck” E. Schumer ’71, a Democrat and Harvard Law graduate, won his fourth term over Republican challenger Wendy Long, who attended the Law School for one year. Schumer will become the top-ranking Democrat in the next session of Congress after Harry Reid’s resignation. Republican Senator Patrick J. Toomey ’84 eked out a close victory to keep his seat in Pennsylvania, while Democratic Senator Richard Blumenthal ’67 also won his race in Connecticut. Law School graduate and Republican Senator Mike Crapo also successfully defended his seat in Idaho. House Representative and Kennedy School graduate Chris Van Hollen, a Democrat, won the Maryland Senate seat vacated by retiring Senator Barbara Mikulski. 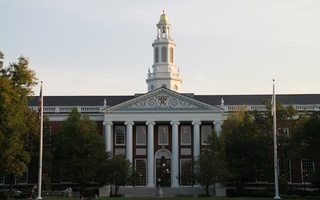 Representatives from Massachusetts are particularly well connected to Harvard; four of the state’s nine Representatives attended one of Harvard’s 12 schools. Elizabeth Warren, a U.S. Senator from Massachusetts, taught at Harvard Law School before she ran for Senate. Kennedy School graduate and Democrat Katherine M. Clark won an uncontested race in Massachusetts’ 5th Congressional District, which includes Cambridge; Harvard alums and Massachusetts Democrats Joseph P. Kennedy III, Seth W. Moulton ’01, and Stephen F. Lynch also won seats in the House. Besides Massachusetts, Michigan elected a relatively large number of Harvard alumni. The state elected three members of Congress with Harvard degrees: Republican John Moolenaar, Democrat Dan Kildee, and Democrat Sander Levin. Not every Harvard graduate was successful on election night. In Wisconsin, Law School graduate and Democrat Russ Feingold lost his Senate challenge to incumbent Ron H. Johnson. Early Wednesday morning as of press time, several Congressional races in California involving Harvard alumni had not yet concluded. Collins, a senator from Maine, said she has become frustrated by a lack of bipartisan cooperation in government.